I am Jewish by birth (through my mother), although I was not raised in the Jewish tradition. I became a Christian at a fairly young age and began attending church seriously as a teenager. I was particularly drawn to the study of the Bible and—despite my interest in visual art and poetry in high school—I embarked on an undergraduate degree in theology, primarily in order to explore my faith. Along the way I fell in love with academics, and by the time I received my undergraduate degree (B.Th.) I had experienced a clear call to a teaching career. For me, however, I was only interested in teaching if academics could be integrally connected to the life of faith and the real needs of church and society. Indeed, I have never experienced academics as an ivory tower exercise. I went on to study philosophy (M.A. 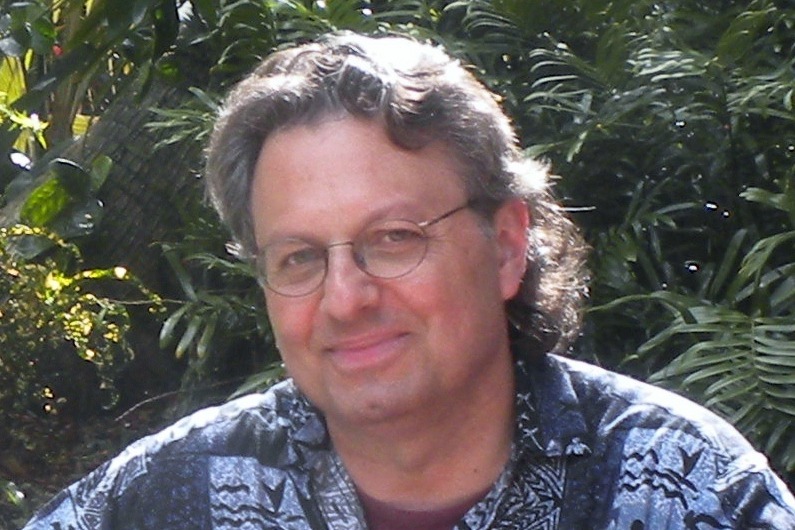 ), followed by graduate courses in biblical studies, and then a Ph.D. that integrated all of the above (a doctorate in philosophical theology, with a dissertation in Old Testament/Hebrew Bible). I am unabashedly a Christian. Yet I can’t deny my Jewish heritage, a heritage that perhaps led to my love of the Old Testament—what Jews call Tanakh (an acronym for Torah [Pentateuch], Nevi’im [Prophets], and Ketuvim [Writings]). I have always resisted jumping too quickly from the Old Testament to the New, since I have found that the Old Testament is a profound document in its own right, which has been formative for my spirituality. Rather than reading the Old Testament resolutely in terms of the New (finding Jesus under ever rock and tree—as one of my students put it), I have tried to read the New Testament in terms of the Old. This way of reading the Bible undergirds all my teaching and led to (among other things) my recent book on biblical eschatology, A New Heaven and a New Earth, in which I tried to demonstrate the consistently this-worldly, earthy vision of “the age to come” (ha’olam haba in Hebrew). The eschatological vision of the New Testament builds on the foundation of the Old Testament, and does not—contrary to many Christian misreadings—“spiritualize” this foundation. While I have no actual intention of converting to Judaism, I am interested in understanding my Jewish heritage—especially the ways in which Judaism has developed beyond the Bible. And I have the utmost respect for Jews who take their faith seriously and seek to live out their commitment to God with integrity and compassion. I met a good number of such people this past week, as I immersed myself in the five-day Executive Seminar of an ecumenical institute of Jewish learning in New York City called Mechon Hadar. Mechon Hadar (Institute of Honor/Glory/Splendor) was founded in 2006 by three brilliant young Rabbis—Shai Held, Elie Kaunfer, and Ethan Tucker, who continue to lead the institute, along with the addition of other top-notch faculty. 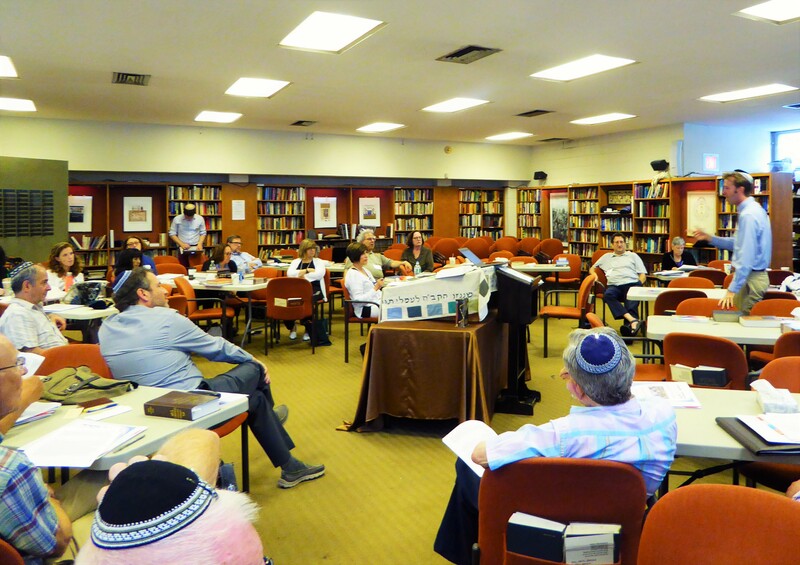 Or, as it was articulated more simply during the Seminar, Mechon Hadar seeks to be characterized by “sophisticated yet accessible Jewish learning.” I found that to be an accurate description of my experience with this amazing, innovative institute. Mechon Hadar offers a variety of programs, ranging from one-day seminars to summer intensives and year-long fellowships. While many of their programs cater to young people (especially those in college) who want an advanced course of Jewish studies (some even come from Israel for this), and other programs function as continuing education for Rabbis, the Executive Seminar that I participated in is geared to laypeople of varying levels of comfort and expertise with the Hebrew language and with Jewish texts and traditions. Although I was the only Christian in the group of nearly forty adults attending this summer’s Executive Seminar, I was warmly welcomed and made to feel at home. Over the five days of intensive learning, I had many wonderful conversations with participants and even—by the end—found myself making a contribution to discussions. Three of the mornings were spent in intensive study of the Talmud (three hours each morning), where our focus was on the ramifications of a law concerning liability for injury in Exodus 21:18-19 and the divine and human roles in healing implied in God’s promises to Israel in Exodus 15:26. For Christians unfamiliar with Jewish terminology, the Talmud (also called the Gemara) is a collection of Rabbinic commentary on the Mishnah, which is itself earlier Rabbinic commentary on the halakah, that is, the laws of the Torah (hālak means to walk, from which we get the phrase “walk the walk,” which refers to ethical action). Since many of the commands enjoined upon Israel in the Torah raised questions in the minds of later readers, they discussed what these laws meant and how they might be applied, often suggesting difficult hypothetical cases or even counter examples to try and clarify the point of the laws. This Rabbinic commentary was collected by Rabbi Yehuda (Judah) and published around 200 C.E. (= “Common Era,” equivalent to A.D. for Christians) as the Mishnah. But the discussions of the various laws in the Mishnah in turn raised further questions, which led to debate and clarification by later Rabbis. The collection of this later commentary (from about 200 to 500 C.E.) on the Mishnah is sometimes called the Gemara, but more usually the Talmud (meaning “teaching,” from the verb lāmad, to learn). The confusion is that there is a second, more expansive meaning of Talmud, which can refer to the combination of Mishnah and Gemara. There are two extant versions of the Talmud in this larger sense—the Palestinian or Jerusalem Talmud (Talmud Yerushalmi) and the Babylonian Talmud (Talmud Bavli). The latter is more comprehensive and is the version usually studied. Since we were studying the train of interpretation concerning Exodus 21:18-19 and 25:26 in the Mishnah (and related contemporaneous literature called the Baraita) and in the Talmud (Gemara), with some excursions into later medieval and modern Jewish texts, we were put into groups based on our facility with Hebrew and Aramaic. 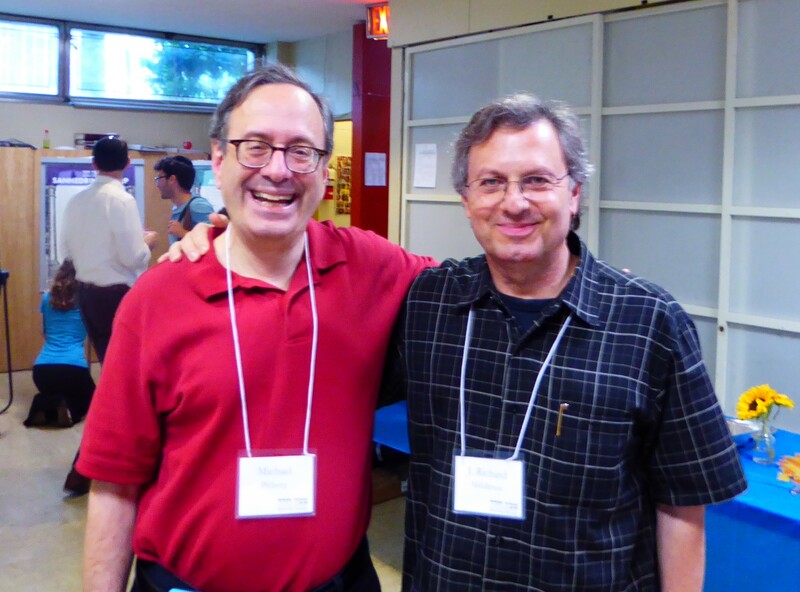 Some Seminar participants were paired with advanced students who were at Hadar for the summer intensive (they studied texts in the primary language, usually Aramaic, and usually unpointed—that is, without vowels). I would have been out of my depth in this group. I began the study of Biblical Hebrew in my thirties, unlike many of the Seminar participants who had been to Hebrew school as children and had participated in the Jewish liturgy (reciting the Siddur) for many years. Some had even been involved in advanced Hebrew learning, and a few were fluent in Modern Hebrew. So, while I have taught introductory (and even intermediate) Hebrew in college and seminary up to five years ago (so I knew the grammar, and much biblical vocabulary), I never functioned in a context where Hebrew was spoken, and was unfamiliar with many Hebrew terms that named parts of the Jewish liturgy. I felt the force of Mr. Miyagi’s words to Daniel in The Karate Kid, when he sees Daniel reading. “You learn karate from book?” he asks incredulously. Change karate to Hebrew and you will understand my disadvantage. So I was happy to be part of a group (made up of about half the Seminar participants) whose level of expertise required us to participate in Talmud study with a bilingual text (English and Hebrew/Aramaic). Each morning this group was expertly introduced to the issues to be studied by Rabbi Alvan Kaunfer (father of Elie, one of the founding Rabbis). Then we broke up into pairs or small groups of three or four (I was paired with a wonderful man named Michael—one of three Michaels in the Seminar) and we would spend an hour and a half digging into the texts for the day, trying to figure out the arguments and the concerns of the various Rabbinic voices. Then we would re-gather with Rabbi Kaunfer to discuss what we had found and he would help us synthesize the learning for the morning. Studying Talmud was a new experience for me and initially I found it quite complex and even confusing; but by the end I had come to a profound respect for the wisdom and insight of these ancient interpreters of Scripture. As a result of this morning Talmud study, combined with various afternoon lectures on important topics of Jewish theology, ethics, biblical interpretation, and liturgy (all of which were interspersed with references to Hebrew terms and texts), I found my facility with the language growing every day. In a follow-up blog I hope to discuss some of these lectures (and the lecturers) and what I learned from them.